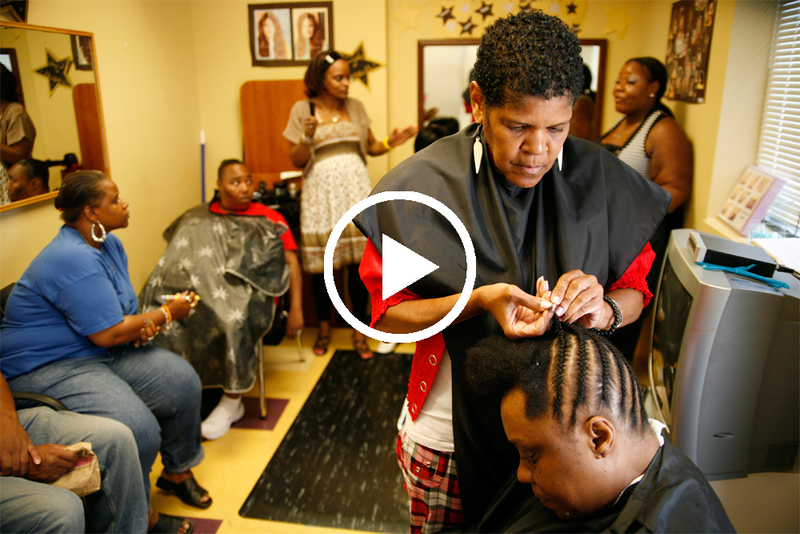 We’ll go inside a beauty parlor that operates at a non-profit mental health program in Philadelphia’s Germantown neighborhood, where staff and clients are both in the process of recovery. A new documentary, Hollywood Beauty Salon, was work-shopped at the beauty parlor over the course of four years. We’ll talk with director GLENN HOLSTEN and two women profiled in the film: salon operator RACHEL “Hollywood” CARR TIMMS, a psychiatric rehab practitioner, and DARLENE HOLMES MALONE, who’s dealt with abuse, depression and other mental health challenges.